I want to thank everyone for their input when I was saw shopping last year. 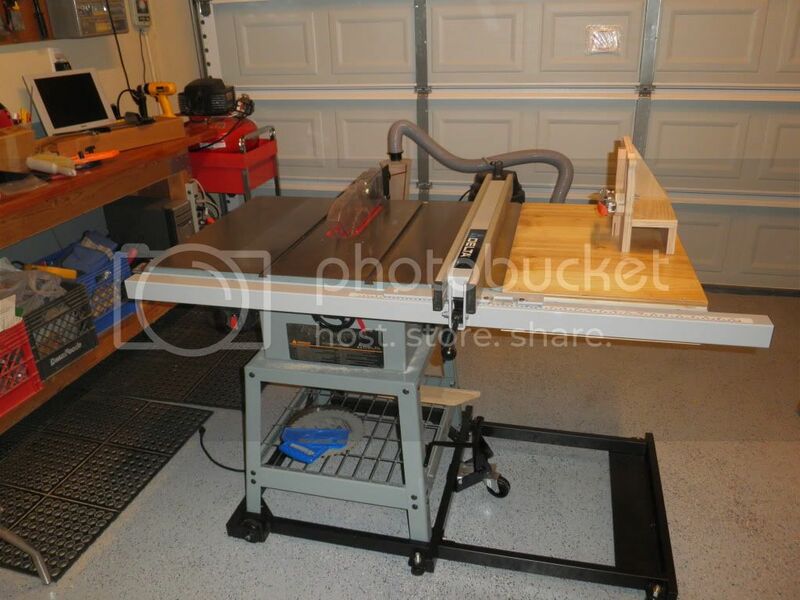 I bought a beautiful Delta 34-770 contractors saw from CL for $300.00. The 34-770 is a special edition 34-444 with two cast iron wings. The saw looked like it was just pulled out of a box (clean and no scratches) and the gentleman had all the original manuals and receipts from purchasing new in 1994. I guess that you can tell I’m proud to have it, so I’ll shut-up about that. The local Woodcraft store had a mobile base and 30” unifence table that were about $160.00 new that they just said “make an offer” and I got them for $35.00!! also bought an extension mobile base for 30” unifence for $15.00 new at the same Woodcraft. I have not been able to find a Unifence anywhere until today I found a company in Houston (about 3 hours drive from me) that has a brand new Delta 36-905 30” Unifence for $262.00. That kit includes the fence of course and also all the table legs and table brackets to fit the items I already have. I know that the Unifence is not the Biese, but there is something that really appeals to me about having the saw setup with all original Delta parts. Am I being foolish about equipping the saw this way? highly efficient. Euro saws work this way as well. I wish I still had my old unifence ! -- If the old masters had power tools, they would have used them. So get off your damn High Horse. I don’t think you’re being foolish at all…..I have a Unisaw w/ a Biesemeyer fence, but the Unifence was here before the Biesemeyer, and is a great fence…..past and present…I have an old Craftsman that I put a Delta SawGuide on years ago, and it works great. The SawGuide is a 30” fence system, and just a smaller version of the bigger Unifence…..Like all fences, once you get it zeroed in, you’re good to go…..carry on…. Not at all, it sounds to me like you’ll be quite happy with your saw (you did get a great deal). My first table saw was a 34-444, and I loved it. I changed to a Unisaw when I retired as a self given retirement gift, but it was a Unisaw so I could stay with the Unifence. I do think you could get a better deal on the fence…but it sounds like you’re on a roll and I wouldn’t want to break the momentum. +1 for the unifence. Just my opinion but the if a fence system doesn’t slide fore and aft I don’t want it. when I rip stock the fence is slid back with only about 3 inches in front of the blade. This give you a lot of fence to line up and get you material running straight. Slide it forward for cross cutting. I have a Unifence that I’ve been using for over ten years and really like it, very precise. Sometimes it’s a bummer because there are so many jigs designed for the Beisemeyer but a big benefit of the Unifence is that it is easy to make and attach new fences. 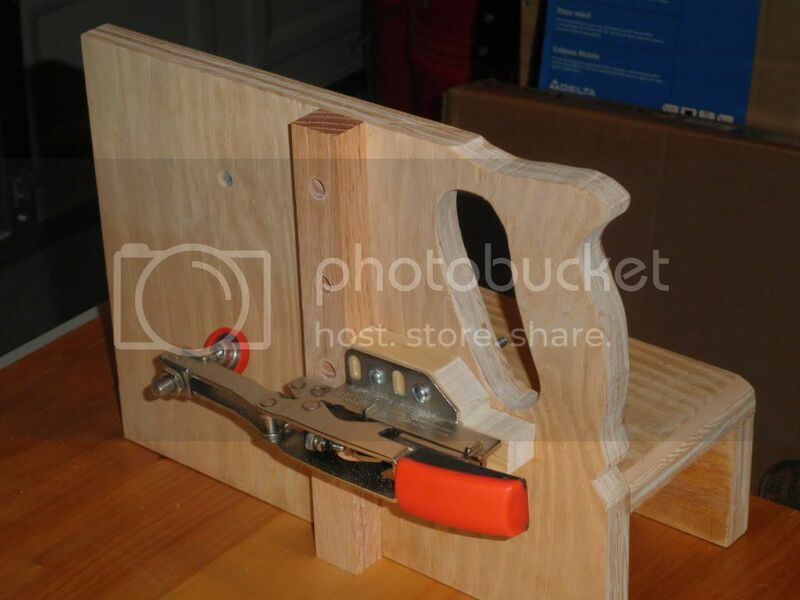 There is a website floating around where a guy came up with some nifty jigs. I think if Delta had included a t-track in the face, the fence would have been more popular. The real downside is that it takes about 2 minutes if you want to cut on the other side of the blade. I like the unifence. Mine is 16 years old. It is very durable, accurate, easy to adust, and is easy to clamp to. The one thing I don’t like about it is that you can’t build a sliding box around it. I see many designs for jigs that slide, but not on a unifence. I have both the Unifence and a Beisemeyer. I like them both. Never had a problem with either. Thanks for all the input guys. I found a Delta T-2 fence new in the box on CL here in town that a guy bought for his Delta benchtop saw a few years ago; Unfortunately, it would not fit. He said that he was tired of tripping over it and let me buy it for $50.00. I geuss the T-2 was Delta’s attempt to compete with the Beisemeyer before they just bought them? Anyway it bolted right up to the saw in a flash. I am trying to post a picture or two and I am trying to talk myself out of trying to get that Unifence. I geuss my wife is right about my compulsiveness. Tools Plus has the Delta T2 fence for $147.97. That’s about as good a deal as there is out there. I bought one from them just last week. Showed up fast too. Best deal I could find. Most jigs can be made to slide in the miter slot instead of sliding over the fence. A bit less convenient but any easy workaround. Hey Bill, I’ve got a T2 on my saw and, whille it’s a perfectly fine fence on its own, I’d replace it with a Unifence in a heartbeat. The extra adjustability wins every day. I’ve got a Unifence on my Delta Contractors Platinum TS bought in 1995 and I am very happy with it. I’d get a replacement if this one ever wears out, which is likely never gonna happen. Like Rory said, the extra adjustments are very handy to have. I replaced the stock fence on my Ridgid R4511 with a 30” Unifence. I also had a 50” one on my previous General 350 cabinet saw. I have been using a Unifence for about 20 years and love them. Here is an option for an auxiliary fence made for the Unifence body which allows you to use hold downs, featherboards, etc. :” http://www.ptreeusa.com/uni_t_fence.htm I have one of these and find it useful for some situations.